Nick Schulz was not drafted out of San Jose State. 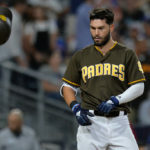 The Padres signed him in April 2014 as a free agent with the knowledge that he had a daunting hill to climb to reach the big leagues or even the upper levels of the minors. 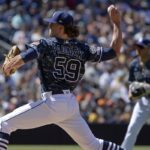 Four seasons later, he is, as he put it, “an injury away from being in the big leagues.” Not that he is hoping for that to be the scenario, but it speaks more to his attitude of always being prepared. Schulz does not take any moment up in Triple-A for granted. 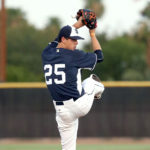 He was signed out of the California Winter League of independent ball in 2014. That should tell you about his humble beginnings in pro ball. He worked hard from the beginning. He started with the Eugene Emeralds A-short season team in 2014. He was quickly promoted to Fort Wayne, where he hit a stellar .341 in 49 games. 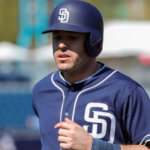 He spent all of 2015 in Lake Elsinore where he hit 12 homers. He then hit 10 with a .282 average in Double-A San Antonio in 2016. 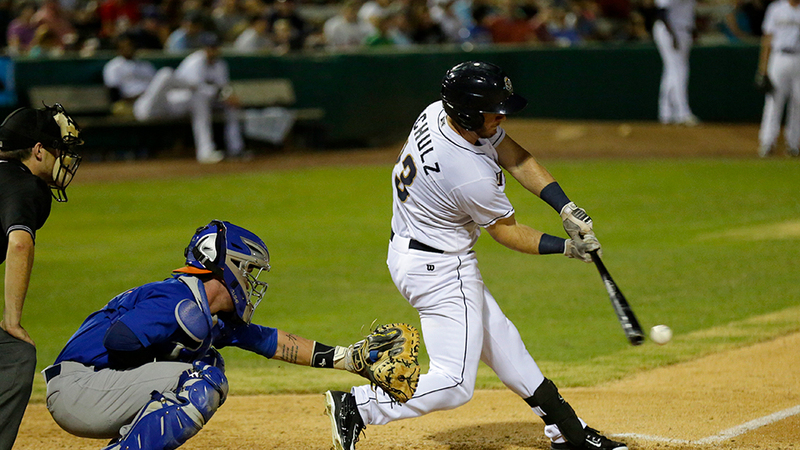 He played 29 games with El Paso last season. I asked Schulz about what it’s like to be a part of what many consider the best farm system in all of baseball. 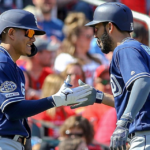 Schulz doesn’t worry about what he can’t control, he chooses to “control the controllable.” He can’t control the fact that the Padres have a stacked outfield with Franchy Cordero, Franmil Reyes, Wil Myers, Hunter Renfroe, Manuel Margot and Travis Jankowski. That leaves him with an uphill battle to see time at Petco Park. He is just worried about what he can control, which is a good lesson for us all to learn. At 27, Schulz is a veteran of sorts on this team. 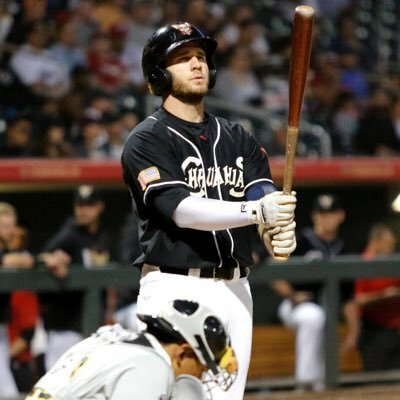 I asked him what he noticed different about the 2018 Chihuahuas compared to last year’s team. 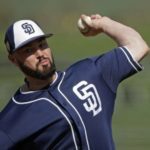 Will Schulz make it to The Show with the Padres? Like he said, he is only worrying about what he can control. 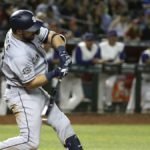 And what he can control is hitting .252 with a 10 percent walk rate and .336 on-base percentage, which is what he has done so far this season. He also has 50 career home runs and a .258 lifetime average over five levels of the minors. One thing is for certain, if the call does come, Schulz will be anything but unprepared. He is well-respected in the clubhouse as the young guys seem to gather around him to try to soak up his experience going through the system. Audio of full interview below.